Dawn Wynne is an award-winning teacher with more than 15 years experience teaching students from kindergarten through high school, including special needs students, English Language Learners, and at-risk youths. She was recognized and honored with the Teacher of the Year award and the Superintendent's Award for her teaching excellence. Wynne earned a Bachelor of Arts in theater at UCLA and holds a Master s degree in Education. She has appeared in many television shows including General Hospital, Renegade, and Nightman. Wynne's short film, Stalkers , won numerous awards, including the Audience Choice selection at the Palm Springs and Sarasota Film Festivals. Her first book, I Remember When... was an Indie Finalist and Amazon best-seller. In addition, Dawn is a certified Health Coach and embarking on educating children and families about healthy lifestyles. No reason to fear its perish. Our Earth’s resources were preserved. And throughout the book there are vivid scenes and verses where the author talks about the ocean, air and pollution, global warming, and many more topics that affect the environment today. What an awesome book to teach children how to take care of the environment in a better way. "Earth Remembers When" is very well-thought-out and put together. It is well-written and easy to read and understand, and the illustrations are so very beautiful and very professional looking. The extended pages make the story fun and exciting because kids want to see what is ‘under’ the page. Each page is the before and after, with a remember when verse as well as one that is current, plus a valuable tip to show how to help the environment on each scene. This book is so beautiful that I would display it on my coffee table for others to have a chance to read it and see its beauty. 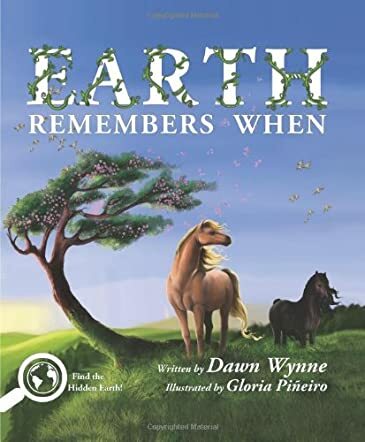 And each classroom would certainly benefit from having a copy of "Earth Remembers When" for the kids to read and study. If you are a teacher or work in a school environment, I encourage you to pick up a copy of this wonderful book soon!